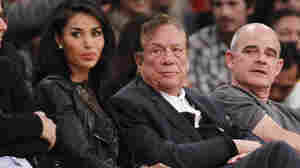 What About Donald Sterling's Right To Privacy? April 30, 2014  The racist comments made by Los Angeles Clippers owner Donald Sterling led to a lifelong ban from the NBA. But they were made in what appears to have been a private setting. Should that matter? April 25, 2014  The news business is evolving: There's a new land rush by news organizations seeking not just to break the news, but also to explain it using data-driven analyses. April 7, 2014  Re/code is a new tech site that doesn't charge its readers or expect to make much from ads. Instead, it has a successful conference business. Other media also see potential profits in conferences. March 25, 2014  Bloomberg News finds itself under unwelcome scrutiny, as its parent company's chairman suggests that reporting on the corruption of China ruling elites isn't part of its core mission. March 11, 2014  Best-selling author Joe McGinniss has died at the age of 71. He was known best for his incisive books on Richard Nixon's 1968 presidential campaign and the murder case of a former Green Beret doctor. March 7, 2014  A Newsweek cover story explores the identity of "Satoshi Nakamoto," the purported founder of the digital currency bitcoin. Though it's drawn doubt and controversy, Newsweek is standing by its story. March 7, 2014  The name of the cable news network RT used to stand for Russia Today, and it is funded by the Russian government. The network's three channels serve as a propaganda arms of the Kremlin. February 27, 2014  Owners of The Oregonian are shedding the identity of a daily print newspaper and emphasizing digital content instead. The shift has been received with both cheers and outrage nationwide. February 24, 2014  CNN has announced that it is canceling the show of its primetime host, Piers Morgan. 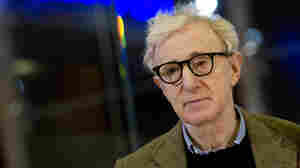 A former British tabloid editor and reality show judge, Morgan was named three years ago to replace Larry King. February 13, 2014  Comcast, the nation's largest cable provider, is set to become even bigger. The Philadelphia-based company has reached an agreement to acquire Time Warner Cable, the nation's second-largest cable provider, in an all-stock deal valued at roughly $45 billion. Consumer groups oppose the deal on the grounds that it will hurt competition and raise prices. But the companies claim competition won't be harmed at all. February 13, 2014  Comcast has confirmed it is buying Time Warner. The merger would combine the country's two largest cable companies and likely draw scrutiny from regulators. February 11, 2014  In the coming weeks, we'll be offering a periodic look at media organizations which are trying to figure out how to report and present the news while paying for that amid major changes in the industry. In our first story, we hear about a new news organization funded by Pierre Omidyar, the billionaire co-founder of eBay who wants to sustain aggressive investigative reporting. It's called First Look Media. February 7, 2014  Actress Mia Farrow and two of her children have revived allegations that the film director sexually abused his daughter more than 20 years ago. The charges and countercharges are playing out not in the legal system but in social media, on blogs and in big-name publications. January 27, 2014  Ezra Klein and the team behind the Wonkblog at The Washington Post have found a new home. They are joining Vox Media, a digital outfit with sites serving sports fans, foodies and gamers — but little in the way of news about politics. The creation of the new site, tentatively called Project X, demonstrates the pull of digital media for entrepreneurial journalists. January 21, 2014  Controversy has dogged an article published last week on the website Grantland. The piece is called "Dr. V's Magical Putter," and it tells the unusual tale of Essay Anne Vanderbilt, who designed a golf putter that attracted positive attention. In the course of reporting the article, writer Caleb Hannon discovered that several purported facts about Vanderbilt's life had been falsified. Hannon also learned that Vanderbilt had been born a man and was living life as a woman. Critics of Hannon's article have alleged, among other things, that his reporting contributed to Vanderbilt's suicide in October 2013.